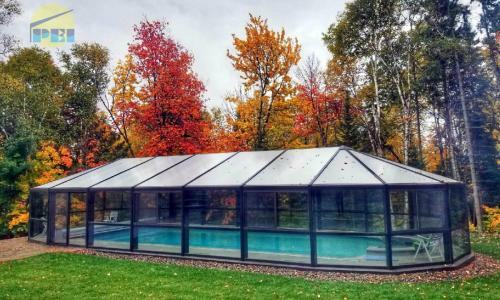 Pool Enclosures, Inc. manufactures and installs custom swimming pool enclosures such as: (from top to bottom) freestanding gable shaped / attached gable shaped / lean-to shaped / hipped roof style / faceted roof style. 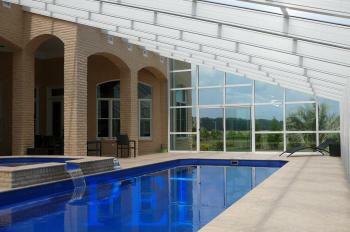 Visit our portfolio page for more styles and photos. 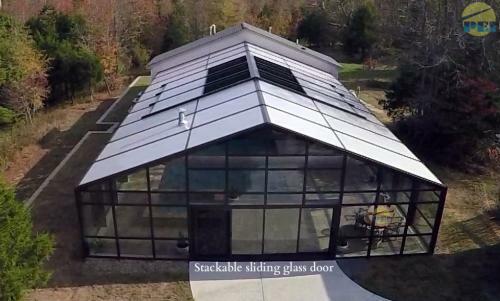 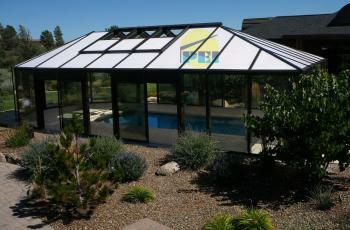 We use glazing (wall glass & roof polycarbonate) with the highest R-values in the industry for improved energy efficiency. 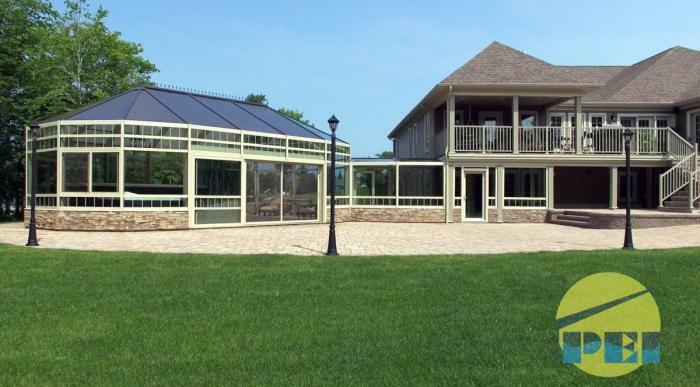 All structures are engineered to meet or exceed local wind and snow load codes... don't compromise, some other manufacturers do not! 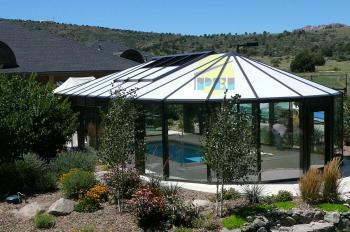 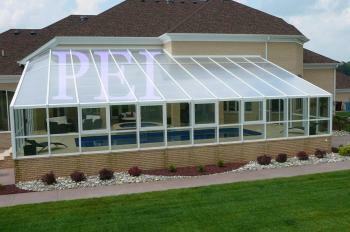 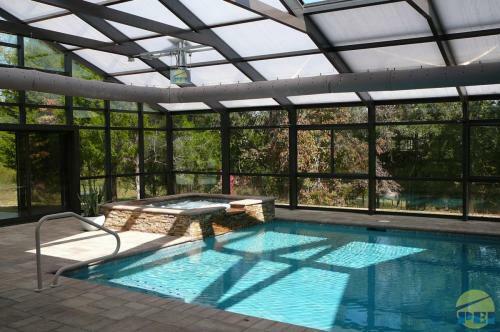 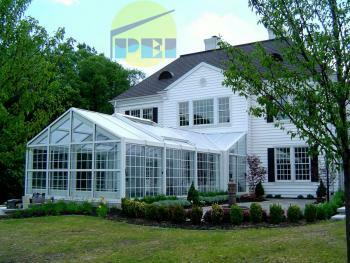 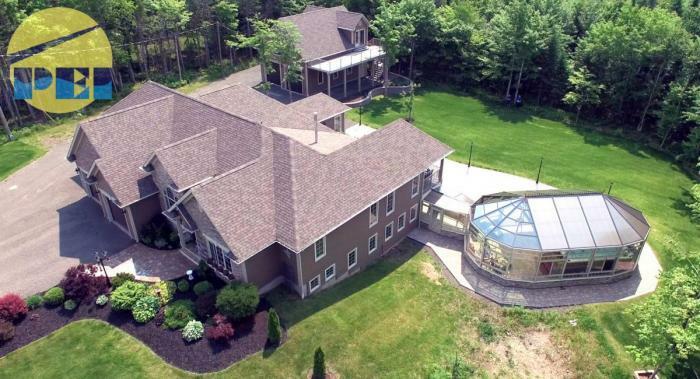 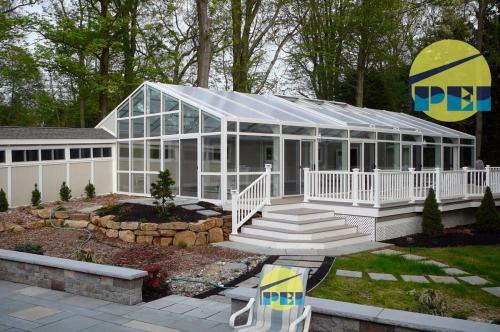 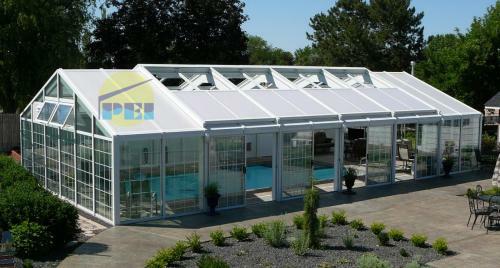 Let PEI design the perfect indoor swimming pool structure, sunroom or conservatory for you.